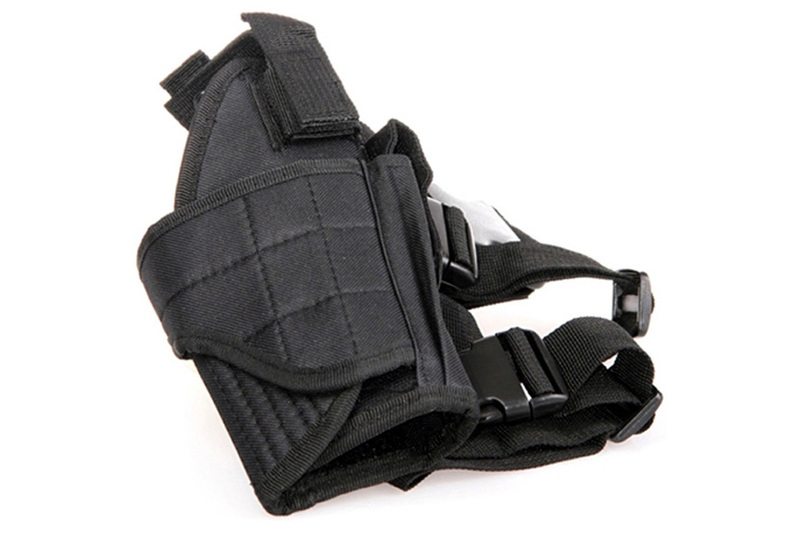 Comments: This left leg Tornado leg holster has adjustable Velcro so you can adjust it according to the type of pistol you have. 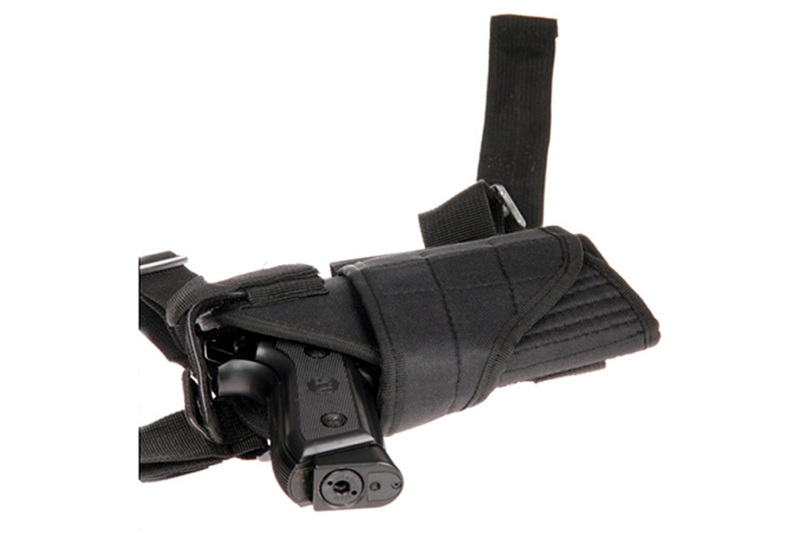 The adjustable Velcro enables you to strap your gun tight or loose depending on the fit you want. 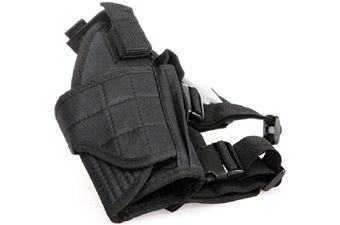 It also has a small outer pocket, perfect for a short mag or a pocket knife for camping. 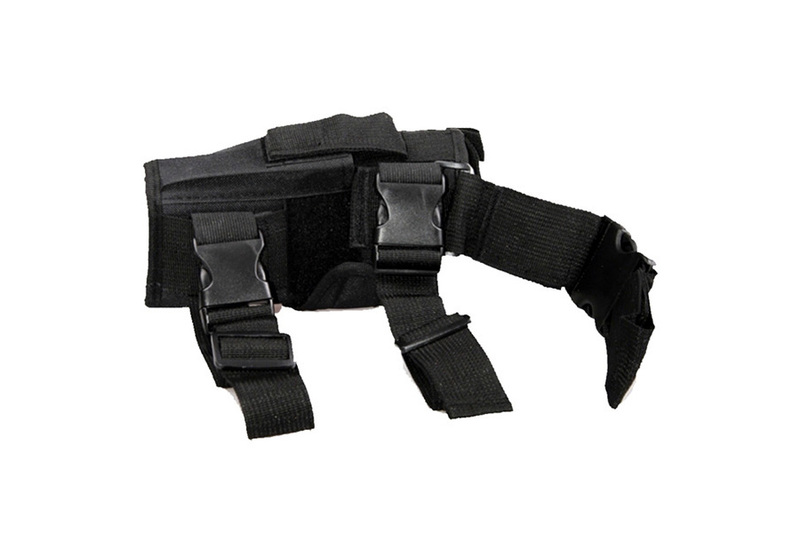 It has a vertical attachment that goes around your belt and also two horizontal clips that wrap around the leg for a secure fit.